If you don’t feel sick or have an obvious injury, visiting the doctor may be the last thing you want to do. But a routine physical is a vital part of keeping you healthy and can help your doctor identify any potential for illness early on and take preventive measures if necessary. 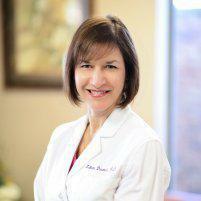 If you live in the Houston, Texas, area and haven’t had a routine physical in over a year, contact Lilette Daumas, MD. Call the office today or book an appointment online. Why should I get a routine physical exam? The annual physical exam is one of the foundations of preventive care, and one of the most basic components of medicine. Physical exams allow Dr. Daumas to check for signs of disease or illness, check your vital signs and the function of your major organs, and perform routine screenings. Many people don’t know they’re at risk for a disease until their physician notices their vulnerability during a physical exam. Physical exams can vary depending on your exact needs, but everyone should make time to have an exam at least once a year, if only to make sure everything is running smoothly. What should I expect in a physical exam? First, Dr. Daumas will want to get an understanding of your medical history. This may mean discussing the entirety of your medical history if it’s your initial visit or just filling her in on any major changes you’ve made since your last check-up, like quitting smoking or starting a new diet. She’ll then check your vital signs, usually starting with your heart and respiration rates and blood pressure. To check for any illness or injury, she’ll examine your heart, lungs, and other internal organs with a stethoscope, and palpate your neck and abdomen to check for injury or signs of illness. Any annual screening tests will also be performed, such as a prostate exam for men over 45 or a pelvic exam for women. Having this information readily available ahead of time will help your exam go as quickly as possible and limits the chance that you’ll forget to share important health details with Dr. Daumas. If you’d like to schedule a physical exam, or if you have any questions, call the office or go online to set up an appointment today.